Proudly Celebrating Our 25th Anniversary! Come into the Fort Myers location and meet Ken and Geydis. They know the area and shed business very well from the old Teds’s Sheds, and now as members of the Superior Sheds family! Ken is a 20 year Air Force veteran and is an expert in Sheds, Steel Buildings, and Carports. Let him walk you through the Do’s and Don’ts, the styles, colors, sizes. Questions on permits – how – what can I have? Ken makes it easy! 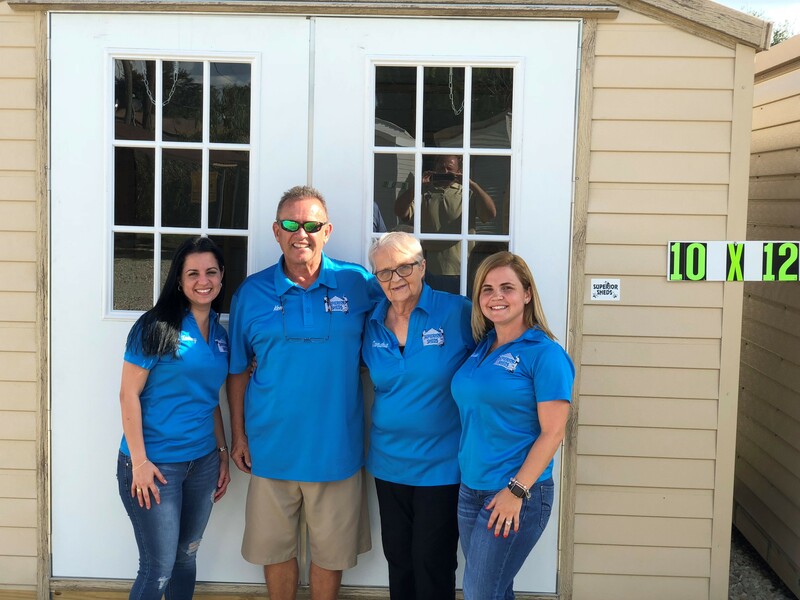 Find out why Superior Sheds is the #1 Shed Company in Florida! See what a true STATE CERTIFIED 180MPH rated shed looks like. Superior of Ft Myers features Carolina Carports, Central Florida Steel Buildings and Orlando Steel – buildings & carports – from drawings & permits to concrete slabs & installation. *Shed Sales & Installation plus Carport and Steel Building – servicing Fort Myers, LaBelle, Lehigh Acres, Cape Coral, Estero, Naples, Goldengate, Immokalee, Bonita Springs, and surrounding areas in Lee, Collier, Hendry, Glades, and Charlotte County!